When I was a kid, before Harry Potter or the Dresden Files, there was a book series I was obsessed with. Taking place in a magical land of wonder and magic, little Joey would often escape to Oz to join his friends the Tin Man and Scarecrow. I've seen the Wizard of Oz at least 100 times and I've even seen the short lived American animated series and some of the longer Japanese version of the Wizard of Oz. So imagine my delight when a new book supposedly following the life of the Wicked Witch of the West came out a few years ago. Then imagine my horror when the book was an incomprehensible mess of weird perspectives and psuedo-intellectual nonsense sprinkled in with some shockingly inappropriate pornographic scenes. What happened to my Oz?! I won't lie, Wicked is one of the worst books I have ever read. I was absolutely heartbroken when it turned out so bad. The Wicked Witch literally scared me to find cover as a little kid, and as an adult she became one of my favorite villains. Maybe she was able to scare me, maybe because she was so fun to watch. Whatever I loved her. When it was announced that they turned the book into a play, I discarded it almost immediately. To me it would be like making an animated film out of the life of Joseph Stalin. It just doesn't flow. Then I heard the soundtrack and I fell in love all over again. I feel like I needed to prerequisite my view of Wicked first before I get into the play, just to give some context to what I was talking about. I am an Oz junkie. I know nearly all the lore from the Yellow Brick Road, and when my wife said she bought us front row seat tickets to Wicked (After the sticker shock wore off) I was delighted to return to Oz and see what it was all about. And oh my good heavens. 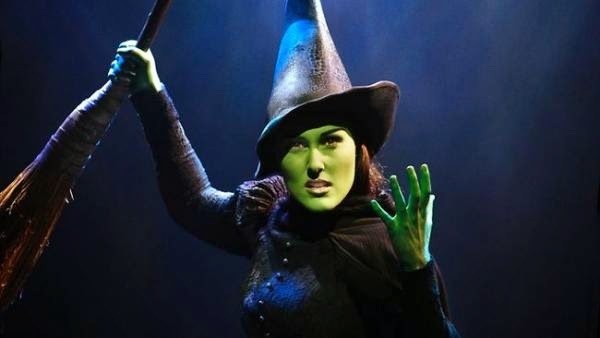 So the plot follows the origins of the Wicked Witch of the West, named in the play as Elphaba, and starts out just after Dorothy doused her in water at the end of the Wizard of Oz. The citizens of Emerald City are celebrating when they ask Glenda to tell them how she knew the Wicked Witch, which she then goes into meeting Elphaba in college years ago. What I find really interesting is that Elphaba doesn't start out as evil, not even as bad. Her skin is green due to a mysterious circumstance at birth and so people, especially her father, treat her as an outcast. In fact the only reason she's at school at all is to take care of her sister, who is in a wheelchair. Elphaba comes off as a cross between Daria and Raven from Teen Titans, sarcastic and disenchanted with the world she has built a shield around herself to keep the world out, but when distressed she can unleash an uncontrolled wave of magic which draws the attention of the magic professor at the school. Promising a chance to meet the Wonderful Wizard of Oz, Elphaba works her green tail off to get a chance to have her wish granted: To not be green anymore. She ends up becoming dear friends with Glenda in an interesting plot twist of fate, which becomes a defining strength throughout the play. I won't give away much more because this thing does have some delightful twists that just need to happen, though if you want a good gist of the play buy the soundtrack and listen to the songs in order. But what I will talk about is Elphaba's decent into wickedness. At no point does she ever go truly evil, since she does have good intention to become the enemy of the Wizard, she just does things as she sees them as right from her perspective, and as an audience you just have to sympathize with her. To me this is the best kind of villain: the person with good reason to oppose the ruling order but because they are in such opposition or because of the means by which they go about getting their way they are labeled as the bad guy. This look at villains is a relatively new thing in media, though it's off to a good start with Dr. Horrible and Maleficent running around, but Wicked was one of the first so Elphaba gets to show us how it's done. Call me old fashioned but my favorite part of the show is the ending. Without spoiling anything it ends with a happily ever after, which is something that's been kind of hit or miss in recent years. It seems like in a lot of media right now either the happily ever after was forced like Dark Knight Rises, but here it's earned, deserved, and makes sense. 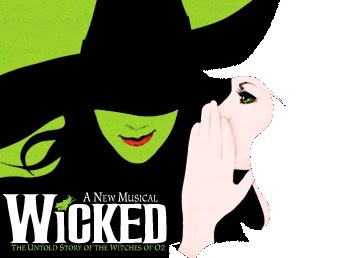 So if you can check it out, even if you just pick up the Wicked soundtrack. You'll thank me later, believe me.